ONCE I move over to Interacive Brokers, I will look into this FIX engine as option for my future needs. 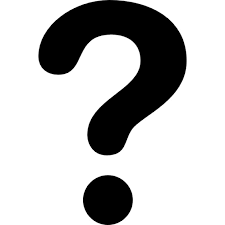 This is where I will be focusing on C++ with future/options asset classes. Good Day! 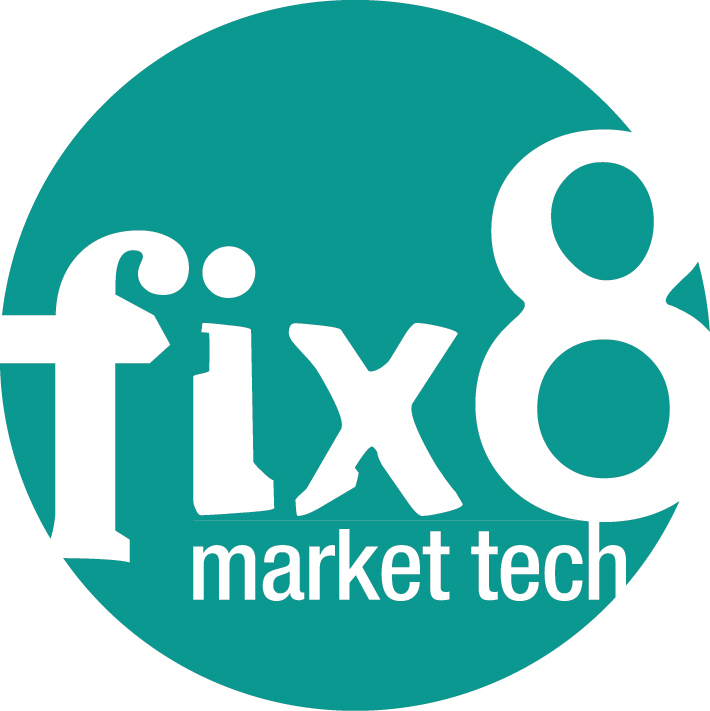 This is our newsletter, with a dose of insights into the future of Fix8. The topic of this newsletter is the flexibility and higlight of features offered in UFE, our Universal FIX Engine. You received this newsletter because we are connected through your interest in Fix8. If you wish to unsubscribe, please scroll down and hit the unsubscribe button. UFE: The fastest FIX Engine which can talk any FIX dialect without any performance downside. For those who’ve been following us closely you’ll be well aware of UFE. The fastest FIX Engine which talks any FIX dialect without any performance downside. 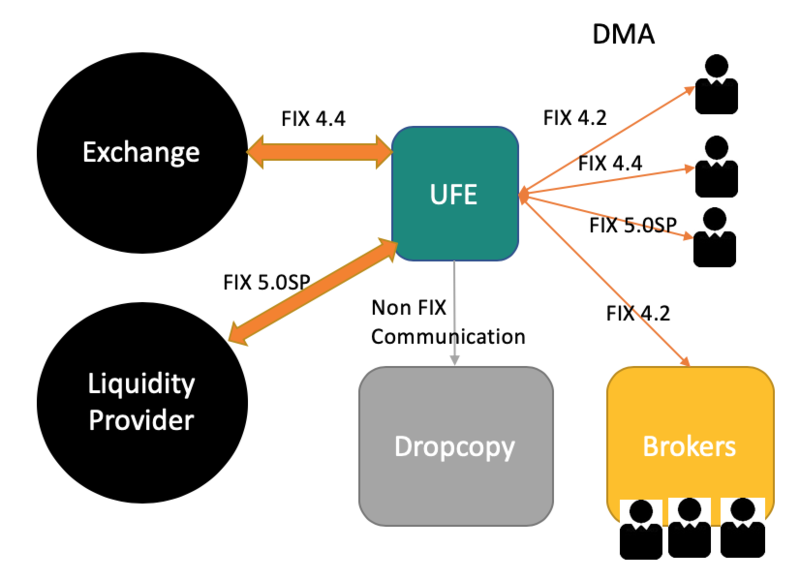 In the scenario where your FIX set up can seem complicated due to FIX variants we can remove that complication with UFE amongst other benefits. With the ability to connect to multiple venues outbound and/or have multiple inbound clients out of the box as well as the plug and play support for dropcopy and order routing (amongst the many features), we feel that most if not all your FIX issues can be solved with correct configuration of your UFE instance. We already have sell and buy side venues running UFE. Talk to us about your use case and how we can help. Another example of UFE’s flexibility as it acts as an order router for two dealers. Contact us to discuss further: heretohelp@fix8mt.com. Add ability to access message seqnum before message is sent. Further performance improvement upon the headline 250% from last release. UFE Gateway (UFE’s web front end) dynamic session loading is due to be released in 19.06. We would love to hear from you. Please get in touch with us on heretohelp@fix8mt.com. This entry was posted in Quant Development and tagged Engine, FIX, FIx8, market, tech, Update on April 3, 2019 by caustic. NOTE: BOB PARDO WILL NOT BE PRESENTING TOMORROW! Please note I will still be available showcasing if anyone is interested with the same Zoom.us login info! Bob Pardo will return with some demos of his software Ranger. This will be live only on my Zoom.us link I will provide here in the comments. This entry was posted in Bitcoin Crypto Currency, Forex, HFT High Frequency Trading, Quant Books, Quant Development, Stock News and Tips, Trading and tagged Apr 2 10:30, Bob Pardo, live, returns on March 29, 2019 by caustic. Has anyone ever tried this service of Vultr. It is quite cheap it seems. I want to relocate my Python scripts remotely on a secure open source BSD operating system like OpenBSD. Also, they have a data farm in Singapore where Oanda servers are located. Not only that,, it looks like Binance are hosted in Tokyo which Vultr has as well. This might work well for both crypto and forex strategies. This entry was posted in Quant Development and tagged Asia, hosting, OpenBSD, Vultr on March 27, 2019 by caustic.